Start at 8.30 am from your hotel to Cau Da port. 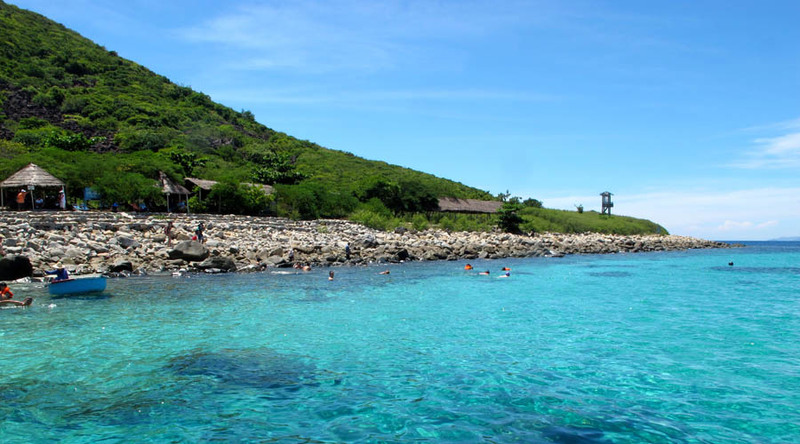 Cruise to Mun & Tam islands, where you stop for fishing & snorkelling at Mun Island. Back to Con se Tre restaurant for having seafood lunch on Bamboo island. Enjoy the fish you catch. Relax & swim on your own time. On the way back to the shore, a short visit to fishing village to see the fresh shrimp, zoo groupers, sea crab raised in floating cages. Car & guide transfer you back to the hotel. Tour ends around 4 pm to 5 pm. Note:Please bring with you: cap, suntan oil, bath towels, swimming wear, sun glasses, sport shoes.